Diego Luna dons a royal blue suit for the November 2016 cover of Vanity Fair México. 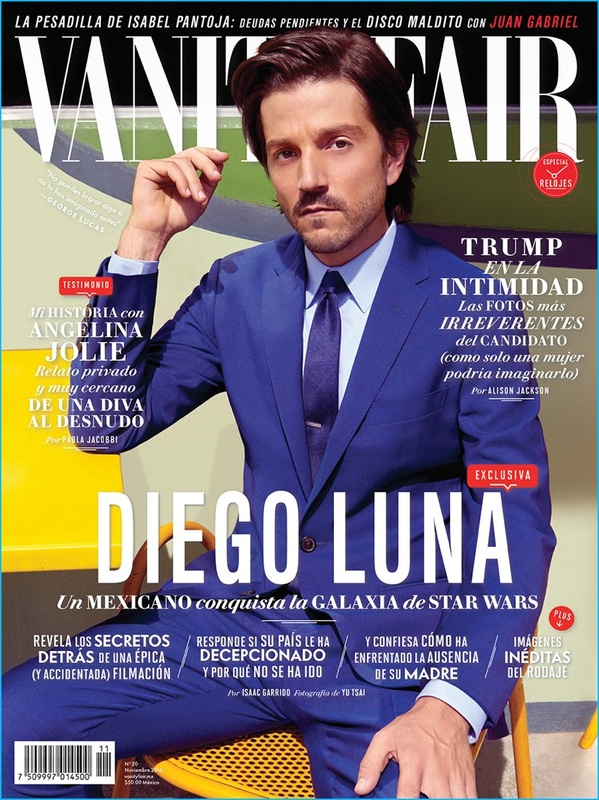 Diego Luna is picture-perfect as he dons a royal blue suit from Brooks Brothers for the cover of Vanity Fair México. 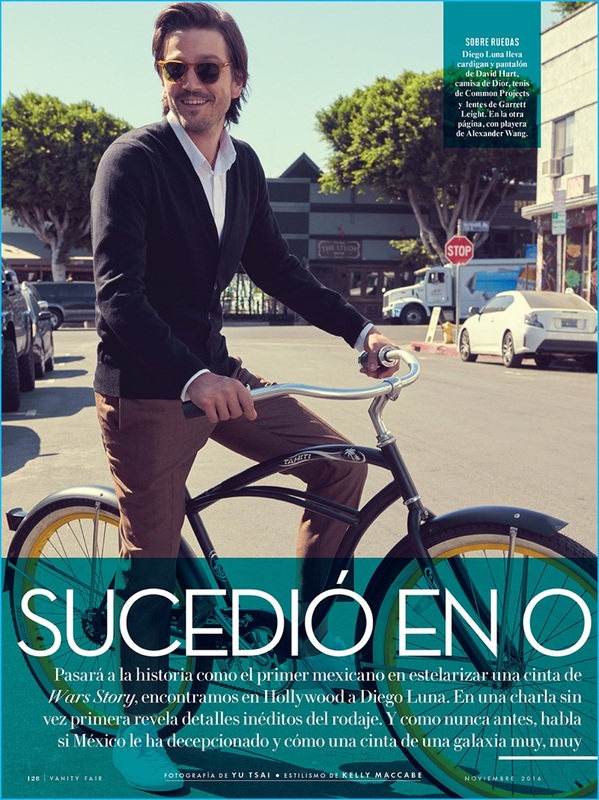 The Mexican actor stars in a charming photo shoot for the magazine's November 2016 issue. Collaborating with photographer Yu Tsai, stylist Kelly McCabe pulls together an impressive wardrobe. Luna steps outdoors in casual numbers, featuring brands such as The Kooples, Dior Homme, and Alexander Wang. Diego Luna is all smiles in a cardigan and trousers from David Hart. The actor also dons a shirt by Dior Homme with Common Projects sneakers and Garrett Leight sunglasses. Discussing his first impressions of filming Rogue One: A Star Wars Story, Luna reveals in a translated quote, "I didn't see it coming. It took me time to relax." 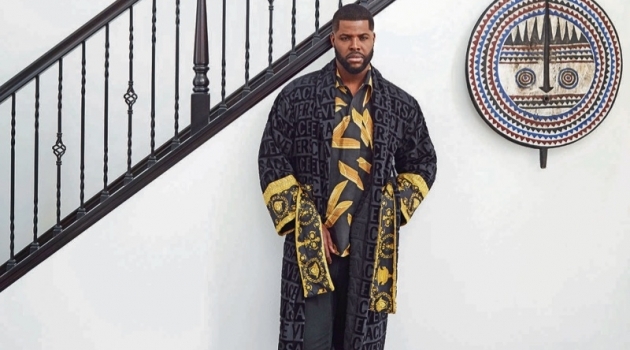 The 36-year-old actor explains, "I came to the set and wanted to take a picture with everything." Sharing insight about the film, Luna says, "I think of all the Star Wars movies, so far ours is the most real. It's about the people. The characters are very similar to us, and the heroes have no powers; what they have is a conviction and desire to change their reality." 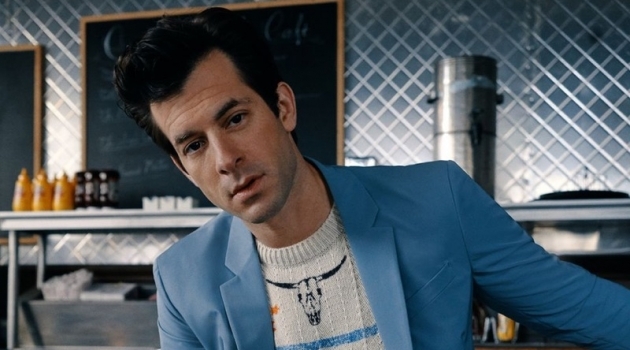 Read more on VanityFair.mx. 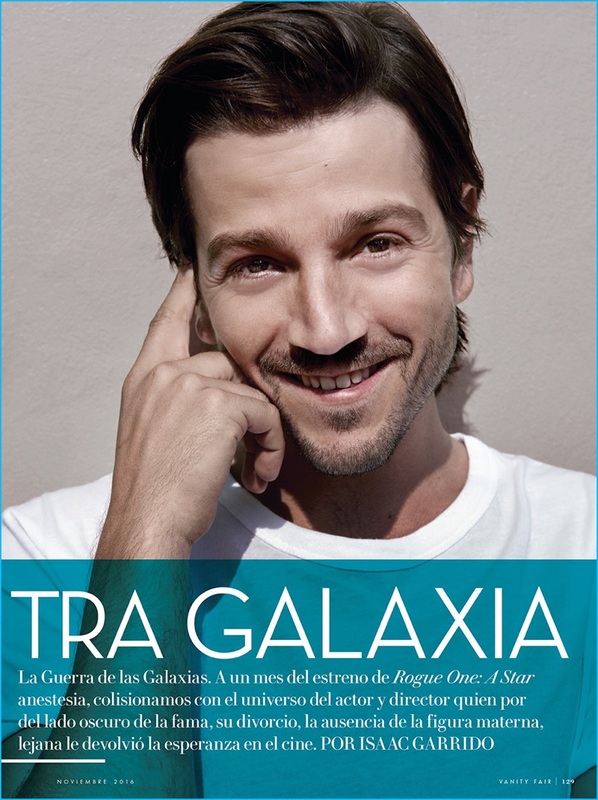 Going casual, Diego Luna sports an Alexander Wang t-shirt for the pages of Vanity Fair México. Kelly McCabe outfits Diego Luna in an Emporio Armani suit and Alexander Wang t-shirt for Vanity Fair México. 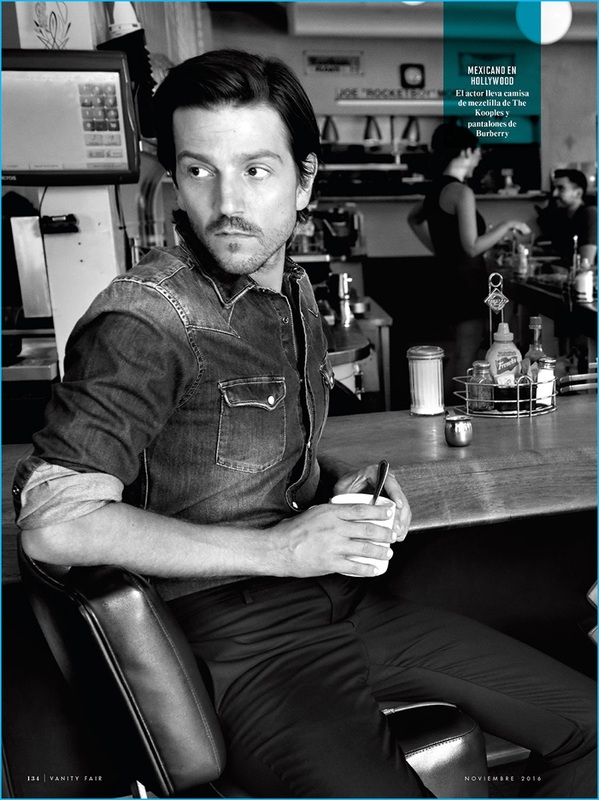 Yu Tsai photographs Diego Luna in a denim shirt from The Kooples with Burberry trousers.